Blog - The Industry's First Recessed Lighting Plate! The Industry's First Recessed Lighting Plate! Orbit Industries is proud to announce an Industry First; the Recessed Light Adapter Plates! 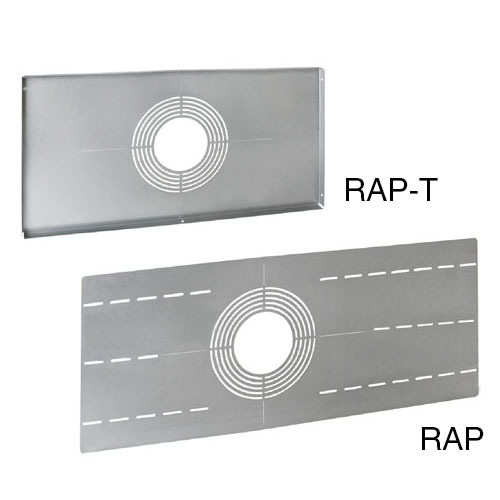 These plates are available in two models, the RAP and RAP-T, for Hard Lid and T-Bar applications. 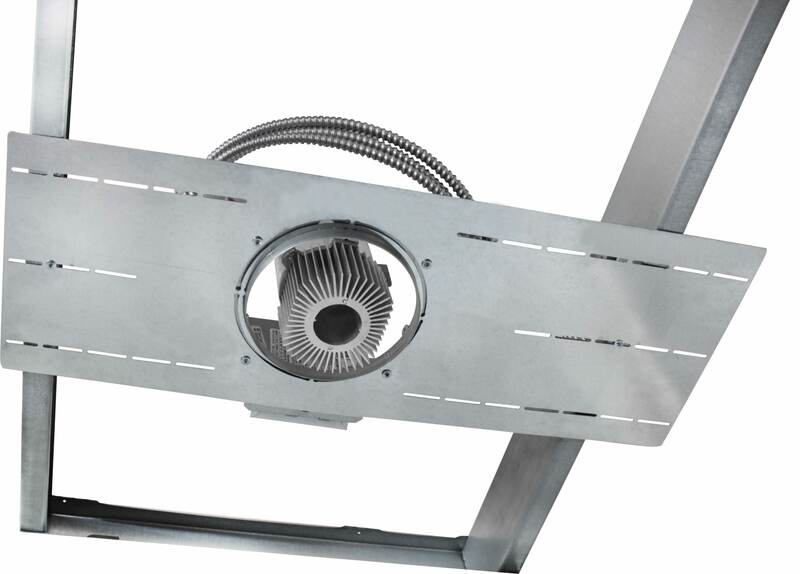 Designed as the solution for installing recessed lighting fixtures, both plates allow for a faster installation than standard bar hangers and recessed fixture brackets! Featuring multiple CKOs, both the RAP and RAP-T easily fit 4” up to 8” recessed lighting housings. Centerline markings and cut-outs also allow fixtures to be correctly positioned with ease. 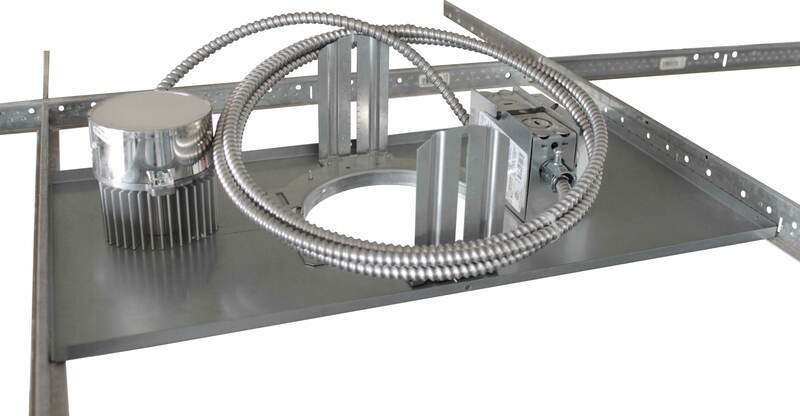 Perfect for prefab applications, each plate can be preassembled with a fixture in a controlled environment for a quicker installation on the job site. Designed for Hard Lid installations, the RAP features slotted holes which allow for an effortless installation in up to 26” stud spacing. The plate itself is offset, with extra length on one side to account for irregular stud spacing. The RAP-T is used for T-Bar applications and drops onto most 2’ wide T-Bar grids with ease. Flanges on the RAP-T provide additional rigidity and feature pre-drilled holes, allowing the plate to secure to the T-Bar via tek screws and ensuring that the fixture is secure. Additional holes on each side of the plate allow for fixture wiring to comply with fire and seismic codes. Orbit’s RAP and RAP-T are the only One-Size-Fits-All plate in the industry, providing a simple and economic solution for installing recessed lighting fixtures. As an Industry-First, the Recessed Lighting Plates have no equal. From unboxing to preassembling a fixture onto the plate the entire process only takes 1 MINUTE. Together, these plates are another addition to Orbit’s ever-expanding line of innovative products designed with the Contractor in mind. Both plates are Patent Pending, meet UL 1598 as a “Recognized Component for Downlight Luminaries”, and are MADE IN AMERICA. For samples and literature, please contact Orbit. All products are in stock and ready to ship.